Australian media today launched a scathing attack on Virat Kohli, labelling the India captain as “classless” and “egomaniac” following his no-longer-friends comment at the end of a spiteful Test series. Virat Kohli Australian Media controversy is growing day by day. The Australian media also took a jibe at Kohli after India reportedly snubbed the visitors’ invitation for a beer at the end of the series which the hosts won 2-1 to reclaim the Border-Gavaskar Trophy. “Virat Kohli had to shake hands and move on after series win but he acted like a child,” read a headline in Sydney’s ‘Daily Telegraph’, which also called Kohli an “egomaniac”. “Beergate: Kohli’s latest classless act”, another headline read. 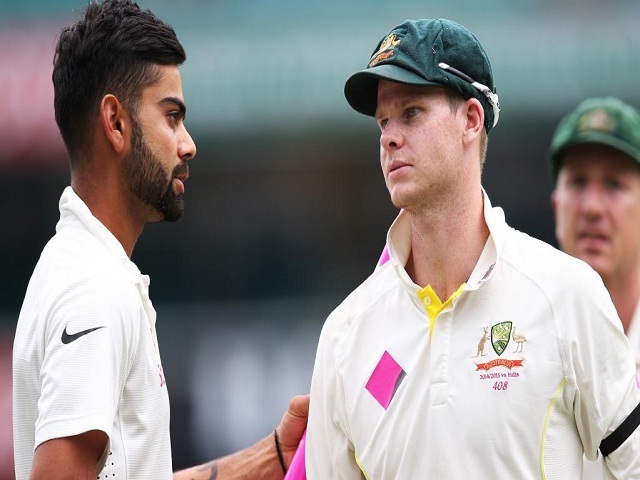 They also compared Kohli’s behaviour with his opposite number Steve Smith, who apologised for letting his “emotions slip” during the aggressively-contested series. “All Virat Kohli had to do was say sorry. Steve Smith did,” wrote ‘Herald Sun’ journalist Russell Gould.